If you follow my blog then by now you have seen a couple of recipes that sound familiar but have a very varied twist. I wish I could take the full credit for this but it is my heritage that I grew up with. So If you are a professional chef or a food expert then my recipes will not make a lot of sense but one thing I can guarantee is that it will taste great. I have a very sensitive tongue ( if I can use that noun) that can tell me if the food is salty, too sweet, under flavored or just right. I can not say overcooked, as most Indian food’s are overcooked 🙂 One great benefit of overcooking is that all the food borne disease seem to disappear. The only time I had ever heard of e-coli was only after coming to the US. In recent times there has been such a big hype of coconut products that I feel a sense of pride to be a Goan since coconut has been a staple in our food culture. Coconut as a fruit is used to make alcohol called Feni, vinegar, oil, in savory and sweet dishes. Coconut tree has many uses. It is used to make roofing, coconut shells are used for fire the fibers inside the shells are used to make kitchen scrubbers. Everyone knows crepes but I can assure you that if you did not grow in the southern parts of Indian then the Goan Coconut Pancakes as they are called or Alle Belle ( It sure is not a Portuguese word but is more of a local nickname) stuffed with fresh grated coconut is a new one for you. To confuse you further 😉 these are made for evening tea. And of all the crepes or pancakes I have eaten, this one is unique, simple and very delicious. 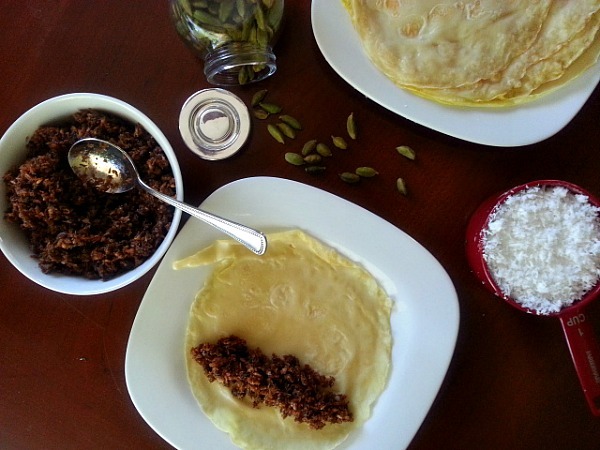 There are many version of the Goan Crepes recipes that I have seen online. 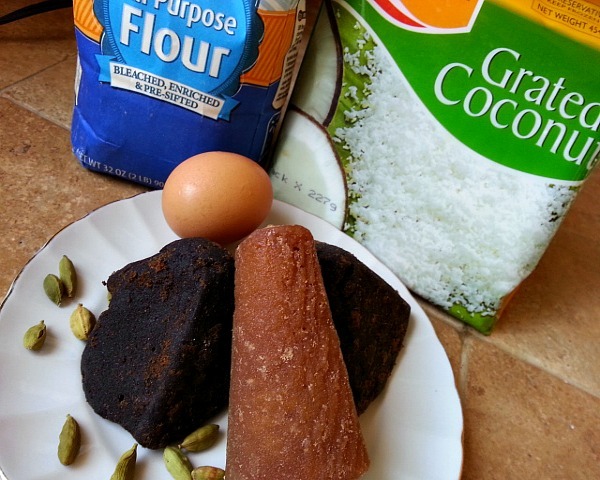 I have seen some use coconut milk, baking soda or baking powder but take it from a Goan it’s not that complicated. 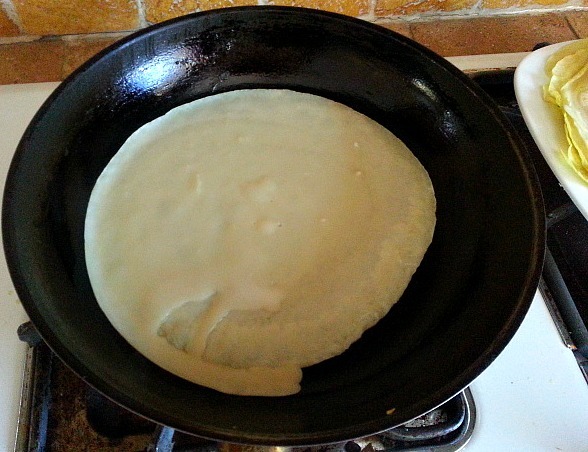 The crepe or pancake batter is made with just flour, egg, water and pinch of salt. It is a thin batter and all you need is a good non-stick pan and a cooking spray. Mix all the 4 ingredients till it is smooth. Heat a non-stick pan on medium heat. Spray the pan with Pam spray. Spoon in 1/4 cup batter swirl it to make a round shape. Cook till the sides curls. Flip it over and cook for another 30 seconds. Take off heat. Repeat the above step till all the batter is over. 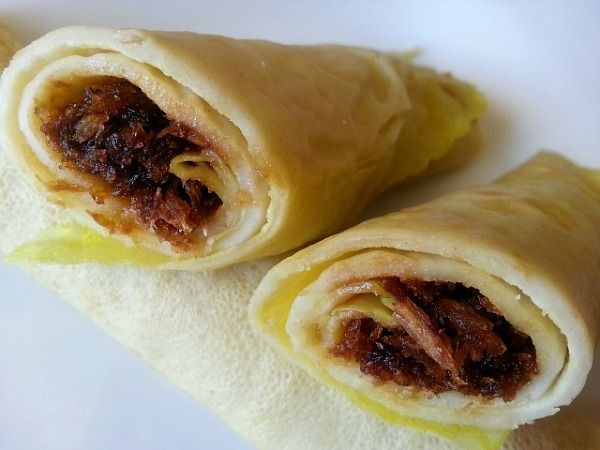 Divide the filling in 9 equal parts and spoon it on one side and roll the crepe as below. 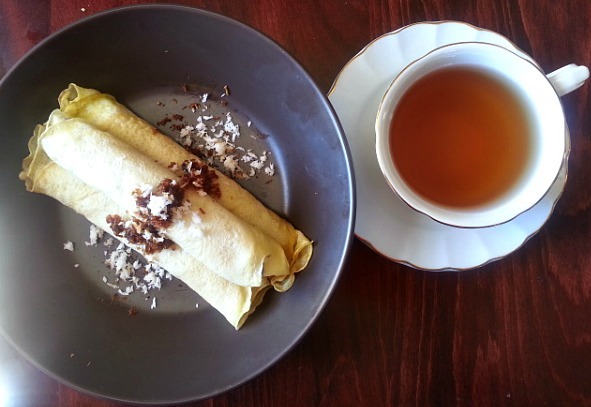 Put the coconut filling on one end of the pancake and roll the pancake to form a cylinder. Enjoy it with a lovely Rose flavor Tea. Hello my friend! Hope all is well ! Yes it is….Hope all well with you. Oh no! You just might get me to cook! That is true Vidya, traditional recipes were simple and much healthier :-). I do think its a hard to find jaggery as it is made in Goa and may not be available everywhere. Wow! Its a small world and great to hear you have something similar in Sri Lanka Madara :-). I do know the Kale(I hope I spelled it right)Dodol is similar to what we Goan’s make. I should try out some of the other Goan food you have mentioned. It is actually easier to find ingredients here for Indian food. I have such trouble with some European and American ones. Dang it! I knew I had spelled it wrong 🙂 I hope you do give it a try there are some similarities in yours and our cuisines. Tc Madara. Simple, unusual and no doubt tasty. Thanks for another cooking inspiration. Thanks Chitra 🙂 It’s dark chocolaty brown almost black and is made from coconut. It has a real nice flavor and is not too sweet. These look wonderful, a real taste of Goa! That is so good to know 🙂 Thank You! Hey, thanks for stopping by my site, you have great recipes here! What a simple yet delicious recipe! 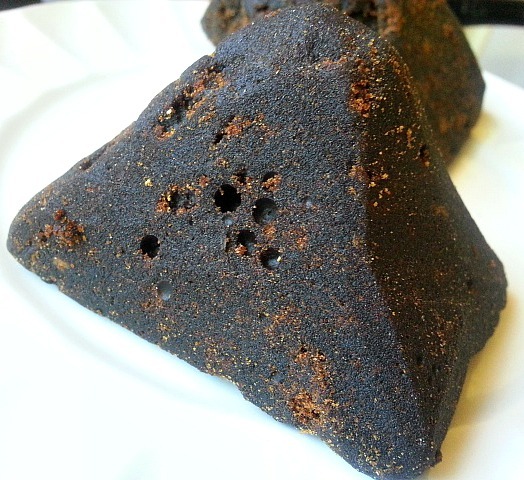 I have never used coconut jaggery but am sure I will find it in Mumbai. I love learning such traditional recipes and thank you for that. Thank you Aruna :-). You sure should be able to find it in Mumbai as there is a large Goan community.